Welcome to the website of ALIKAZAM – Children’s entertainment. 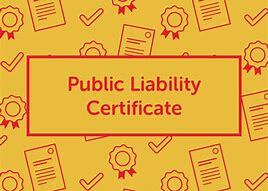 Stress-Free Children’s Parties from beginning to end. 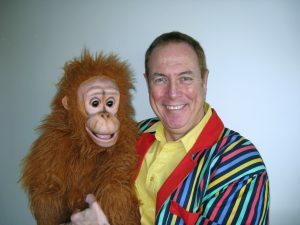 A children’s entertainer with thousands of performances to his name, Alikazam has been entertaining children throughout the midlands for more than 25 years. All ages catered for from pre-school to teenagers Alikazam will organise your child’s special event and entertainment so that you can enjoy all of the fun without any of the stress! 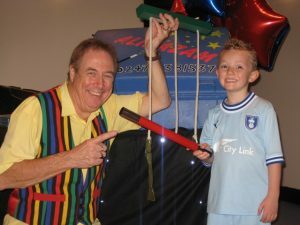 Covering the whole of the midlands area providing entertainment for Birthday Parties, Schools, Family & Corporate events. 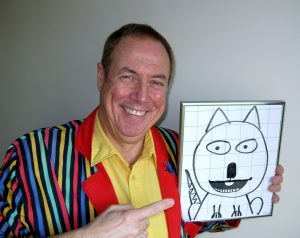 The best children’s entertainer in the business! We’ve had Alikazam for my son’s birthday for the last two years. He’s so funny and incredible with the crowd…children and parents alike! Yesterday he had the children entertained again for George’s 6th birthday for 2 hours. 36 children sat still for magic, danced and laughed for the whole time. Everyone had a great time. The best comment was from George himself who said as I tucked him into bed that night, ‘today was the best day of my life’. Thanks Alikazam…you really are a very talented guy. 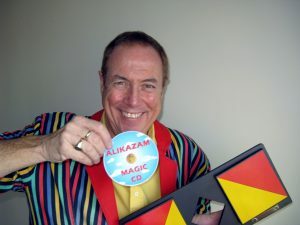 Alikazam has just delivered the best entertainment for my Daughter’s 5th Birthday party for around 30 kids. 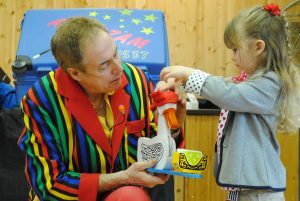 A fabulously, varied magic show, not sure who liked it best – the parents or kids?! 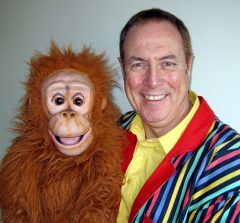 He enthralls and engages the children fantastically. Big laughs, fun and shouts from the kids and he manages the whole party experience, bday songs and children’s games etc. 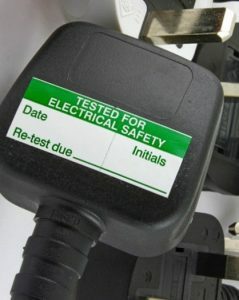 Very professional and happy to accommodate your requirements to fit. Alikazam made our Birthday Girl feel very special. This is the second time we have booked Alikazam and having experienced other “entertainers” at children’s parties, I have to say he’s the best. Recommended wholeheartedly, and worth every penny! Amazing party for my six year old daughters. Alikazam took all the stress out of having a children’s party. 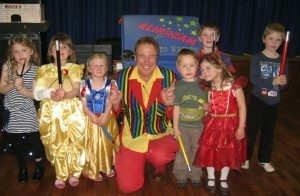 All the children found him really funny and were thoroughly entertained for the 2 hours with a magic show and then party games. The adults also found him really funny. I couldn’t recommend Alikazam enough. We would highly recommend Alikazam. A room full of 35 4-7 years olds were absolutely captivated for a whole hour. A fantastic show -and the monkey stole the show. Absolutely brilliant magic show had my son and is 20 friends plus adults in stitches, would highly recommend.